In Spotlight: Estancia at Ridgeview Ranch, 10200 Independence, Plano 75025 strives to bring you the best apartments in Dallas. Every week, we review one residency so you can get to know these places better. Generally, we highlight basic amenities, floor plans and major attractions so you can choose a nice, comfortable apartment for yourself. This time around, the spotlight is on Estancia at Ridgeview Ranch. As trendy as its name is, the residency offers a luxurious, green apartment option to make you feel at home. From its beautiful scenery to well equipped rooms, Estancia portrays a modern living space. Imagine being very tired after a full day at work and getting stuck in traffic. You know your back is going to hurt the next day. That’s where your residency spa comes in! Go for a nice, relaxing massage and get the pain kneaded away. They also have a coffee bar, so if you’re running late, you can still grab a cup without wasting time. A fitness center equipped with cardio and weights is ready to make fitness fun for you. It also has HDTV to keep you entertained. If you’re more into sports than regular exercising, you can still keep yourself fit. From sand volleyball court to indoor basketball and racquetball courts, the residency is equipped to provide you with all! And of course, there are two resort style pools; so flex your muscles and start swimming. Then we have the game room with a pool table… It also has picnic tables, barbeque area and a pavilion so you can party any time. The residency is gated and security is always top-notch. It is guarded against unwanted visitors so you can peacefully sleep at night. You don’t have to fight for the space closest to the exit in a huge garage. In fact, garages are divided for every few apartments so that tenants have their dedicated space. The residency is family friendly and equipped with various needs of your kids. It has a playground with Shade Sail and game room. The residency is also satellite dish friendly, so your kids can watch their favorite cartoons. Elementary, middle and high school bus pickups are available as well! If you like this residency, contact us today. Our apartment locating service will find a suitable home for you! 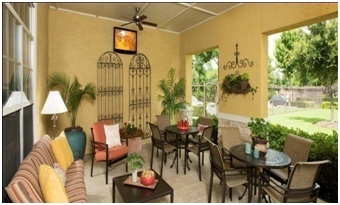 Our apartment rental agency strives to bring you the best apartments in Dallas. Every week, we review one residency so you can get to know these places better. Generally, we highlight basic amenities, floor plans and major attractions so you can choose a nice, comfortable apartment for yourself. This time around, the spotlight is on Estancia at Ridgeview Ranch. As trendy as its name is, the residency offers a luxurious, green apartment option to make you feel at home. From its beautiful scenery to well equipped rooms, Estancia portrays a modern living space. Imagine being very tired after a full day at work and getting stuck in traffic. You know your back is going to hurt the next day. That’s where your residency spa comes in! Go for a nice, relaxing massage and get the pain kneaded away. They also have a coffee bar, so if you’re running late, you can still grab a cup without wasting time. A fitness center equipped with cardio and weights is ready to make fitness fun for you. It also has HDTV to keep you entertained. It also has picnic tables, barbeque area and a pavilion so you can party any time. The residency is gated and security is always top-notch. It is guarded against unwanted visitors so you can peacefully sleep at night. You don’t have to fight for the space closest to the exit in a huge garage. In fact, garages are divided for every few apartments so that tenants have their dedicated space. The residency is family friendly and equipped with various needs of your kids. It has a playground with Shade Sail and game room. The residency is also satellite dish friendly, so your kids can watch their favorite cartoons. Elementary, middle and high school bus pickups are available as well! If you like this residency, contact us today. Our apartment locating service will find a suitable home for you!